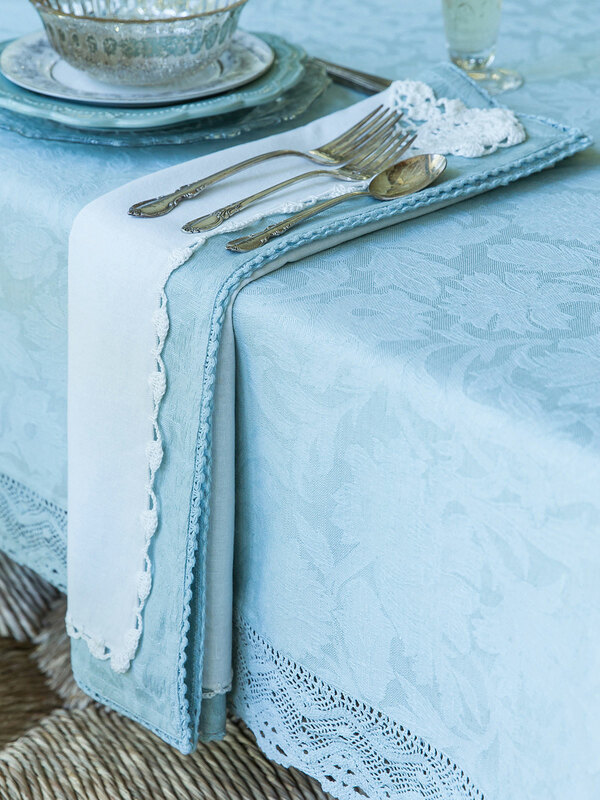 There's an undeniable romantic elegance to the Cotillion design - if I do say so myself! 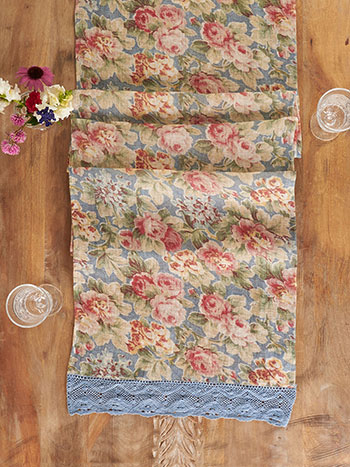 Smokey blue ground and rose petals crafted from pretty pinks set with subtle sage. 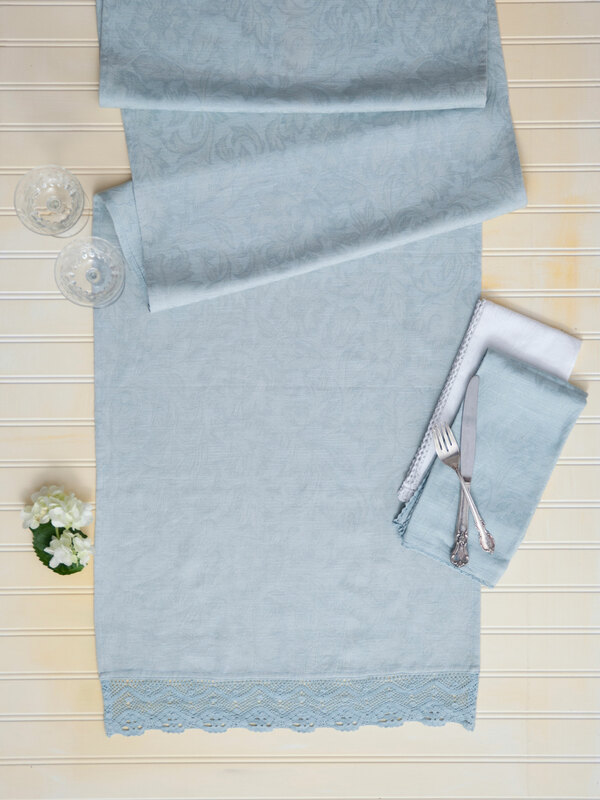 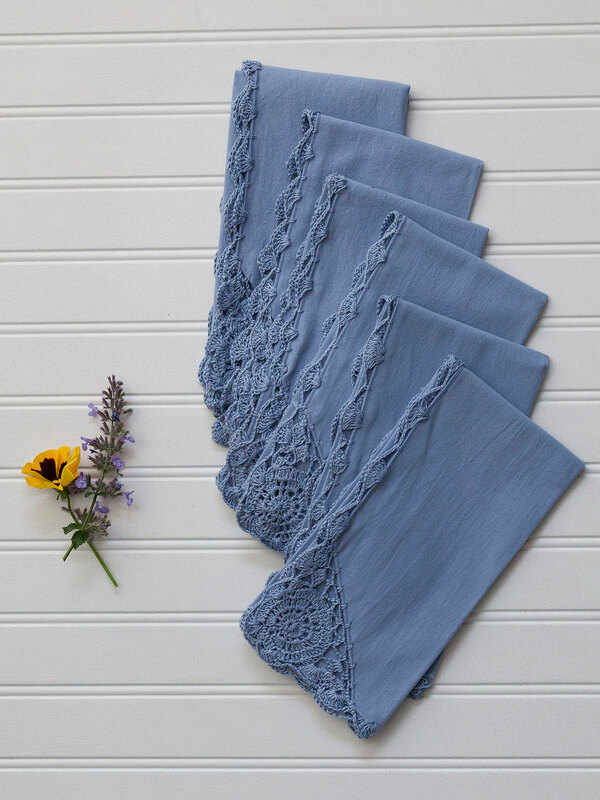 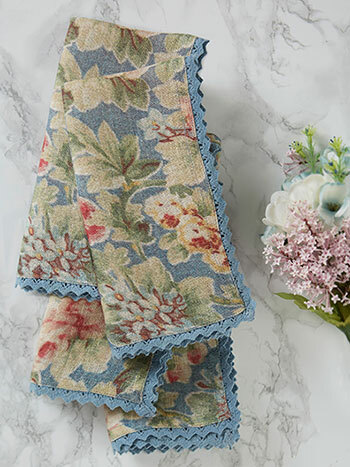 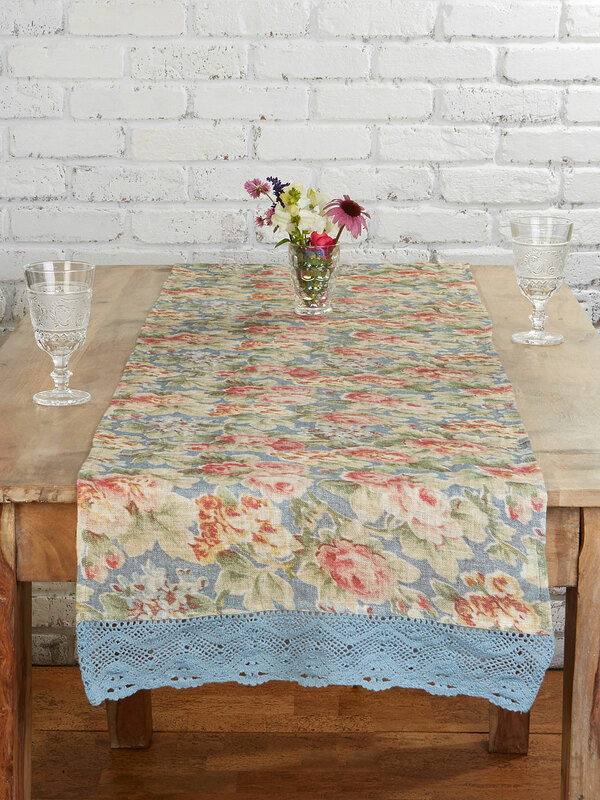 R endered on timeless linen and artfully trimmed with a gorgeous lace border for stunning effect.